This page provides links to other pages on this site that discuss tumors of the ear or brain that can cause dizziness. Almost all of these cases have been encountered in the course of the author's practice at Chicago Dizziness and Hearing. 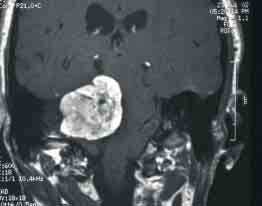 These are mainly "primary" tumors - -meaning that they did not arise from somewhere else. In general, malignant tumors from other parts of the body can go anywhere there is a blood supply, which of course includes the ear and related structures. 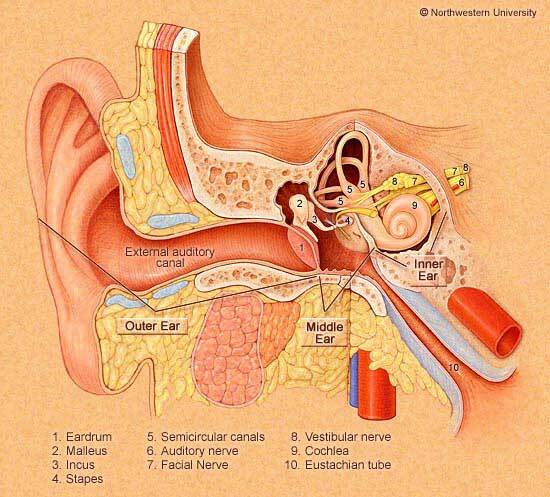 However, the inner ear is a small target (about the size of a dime) and for this reason it is very unusual for cancer to spread to the inner ear.